People die. It doesn't matter whether if they had died gracefully or horribly, they still die anyway. It's pretty easy to see if someone is dying or not. It won't take you much effort to find out. With this newly acquired knowledge to spot a dying person, you may just save your friends and family members in the nick of time (nick of time is commonly known to teachers as last minute work). May. Men tend to die younger than women as they don't know they are dying, therefore they don't do anything to salvage the situation! 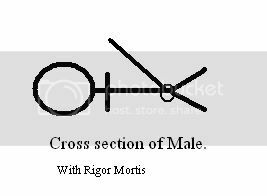 There is this thing known as Rigor Mortis. 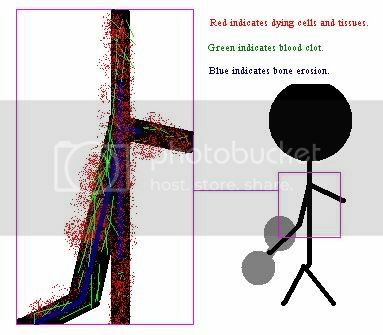 In short, it is the stiffening of muscles in your body, making them 'locked' in a position. It also means that you are dying. Familiar? 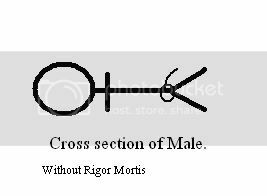 Experts claim that at least 40% of the males are ignorant of rigor mortis. Watch out especially if the male is over 60, and still claims that he don't need viagra, because he isn't suppose to erect anyway. Always remember that males are unable to erect when they reach 60 years of age. Please note that gyming can cause rigor mortis. in the arms, legs and alps, which are commonly mistook for muscle pulls and cramps. Never go gyming. Gyming shortens your lifespan. 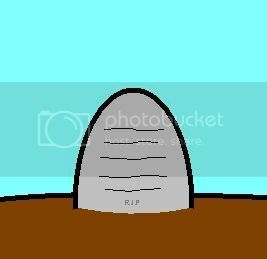 Many people have actually died from gyming. This is how dumbbell works. When you are working out with a dumbbell, you exert a force that is so intense, you blow out your blood vessels and bones. All the tissues and cells that your muscle use to lift the dumbbell dies off immediately. The only way to stop you from dying now is amputation. This is the last post of the year. Note: Blog will always rest for 1 month each year. 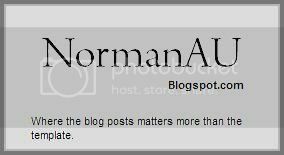 Watch for the next post in http://normanau.blogspot.com on 1st January2008, where 3 new posts will be put up. In the meantime, I will set up my archives.